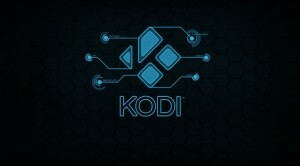 KODI Version 16.0 Jarvis Has Been Released this week and at first glance seems to perform well. The user interface has not changed much so the user experience should be the same form the end user perspective. Event Logging to provide feedback to Kodi has been added along with Long Press to support the lack of menu buttons on some devices, which is not an issue with the Amazon Fire TV Stick or Box. One of the improvements that alot of Kodi users will enjoy if the improved caching of Kodi on devices. This will hopefully eliminate the need to Clear Cache on Kodi as much as was needed in the past. The Jarvis 16.0 Update Release paired with new Addons such as Exodus, which is replacing Genesis, and the new Velocity Addon are making Kodi even better than it ever has been before!